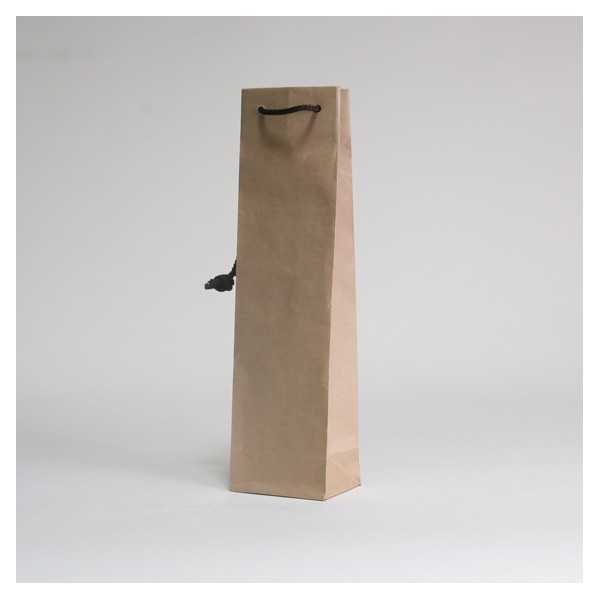 The NOBLESSE kraft paper bottle bag is made from recycled natural kraft 160 g/sqm paper. It features matching knotted ropes handles along with side gussets and bottom. Upper edges are strengthened and the bottom is pasted and reinforceded. A carton contains 100 units. By buying this product you can collect up to 168 loyalty points. Your cart will total 168 points that can be converted into a voucher of 1,68 €.